WESTFIELD, N.J. — A New Jersey high school principal has died after slipping into a coma while donating bone marrow to a 14-year-old boy in France. 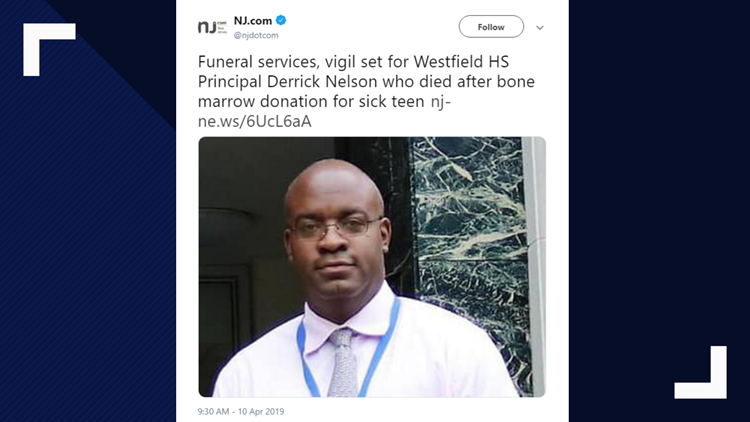 Family members tell NJ.com that Westfield High School Principal Derrick Nelson underwent the donation procedure at a hospital in February. They say the 44-year-old couldn't speak or move afterward and remained in that condition until he died Sunday.